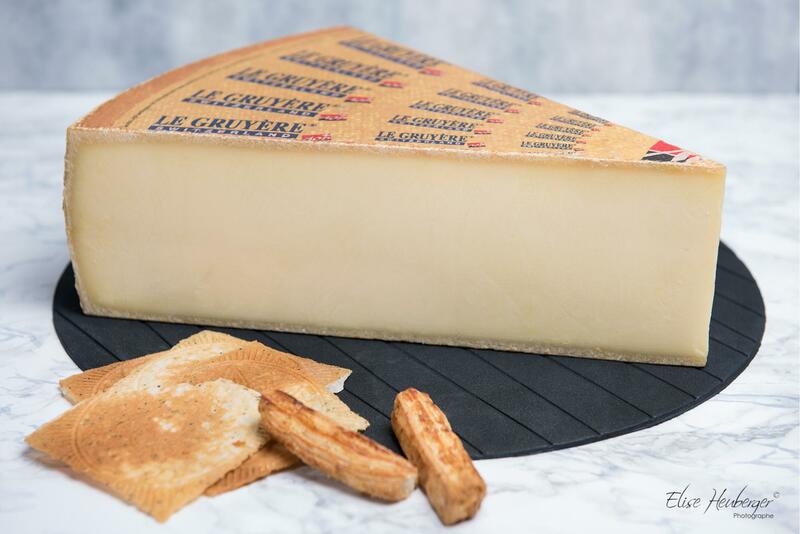 Local cheeses produced in an area stretching from Lake Geneva to the Alps and the Jura, Gruyère and Gruyère d’Alpage AOP are found in every kitchen, restaurant and store in Switzerland, as well as in many recipes. And just to clear things up: no, Gruyère AOP doesn’t have holes in it (unlike Emmental)! Gruyère AOP is a hard cheese made using raw milk from cows reared on natural feeds: grass in the summer, hay and second crop hay in the winter. No additives are used in making this cheese. The wheels, weighing an average of 35 kg, are aged for different periods for a different flavour: five to eight months for mild Gruyère, nine to twelve months for Gruyère mi-salé and over twelve months for Gruyère salé. Gruyère d’Alpage AOP is made from May to September and has the distinctive flavour of the twenty or so rich mountain pastures it comes from. The name of this cheese comes from a district of the canton de Fribourg and was first used in 1655. In 1762, it was accepted by the Académie française. This local product was awarded the AOP label in 2001, defining its area of production: the cantons of Fribourg, Vaud, Neuchâtel, Jura and three districts of the canton of Berne.